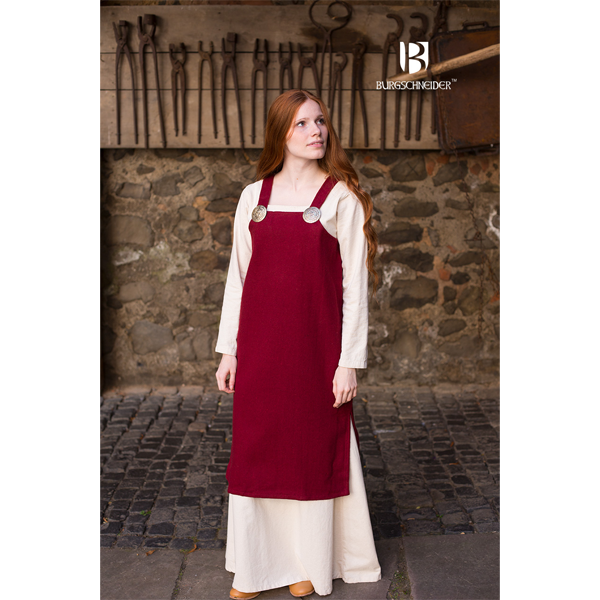 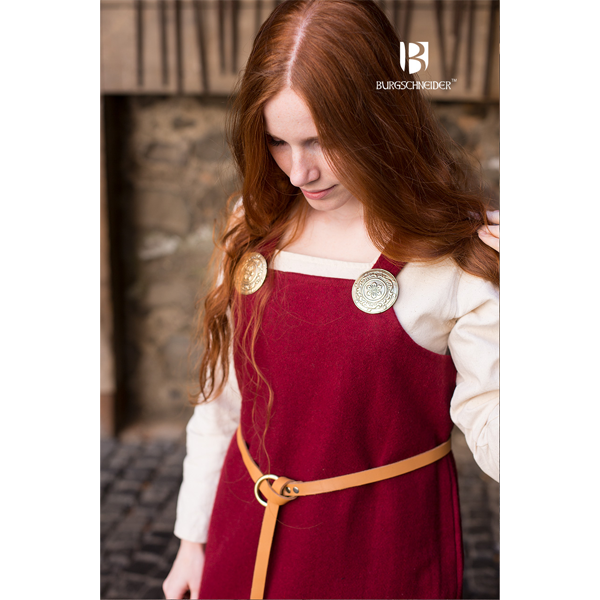 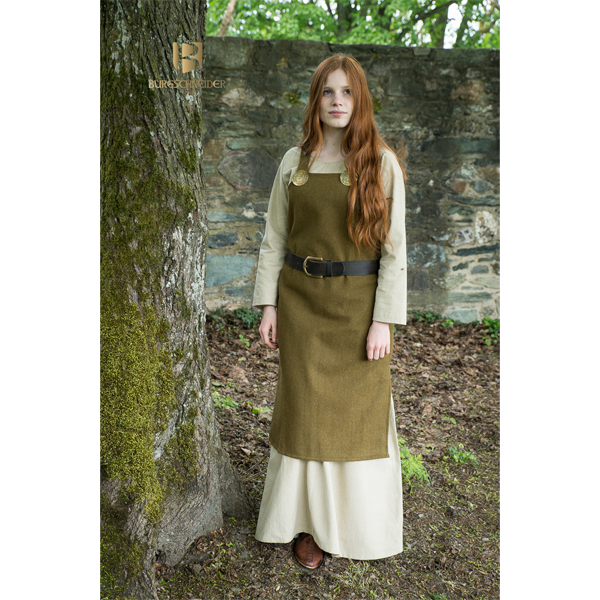 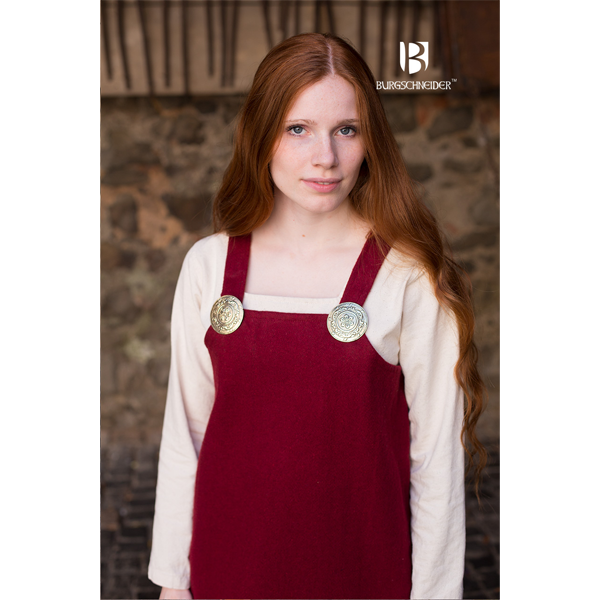 The Viking dress Jodis is made of wool felt. 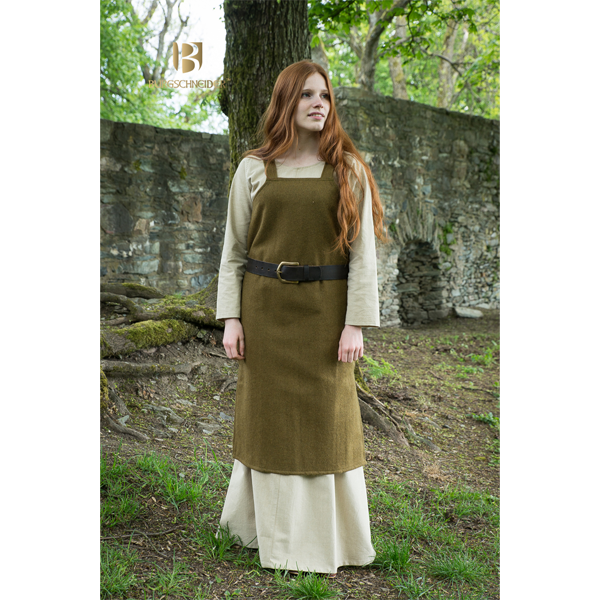 The dress is worn in combination with a undergarment. 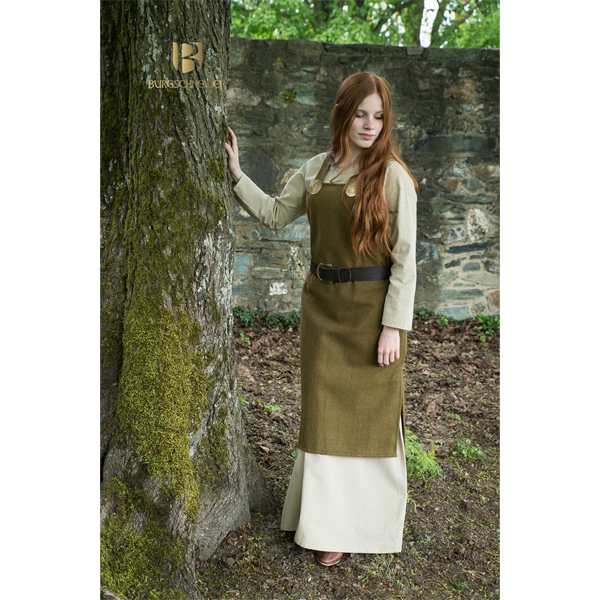 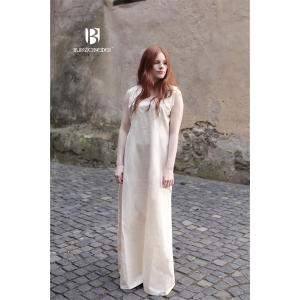 It is inspired by early medieval style and has a very straight cut. 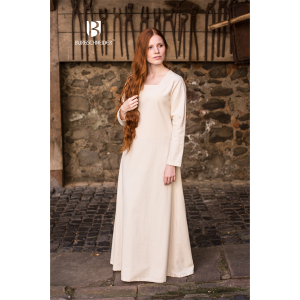 The gown is sewn at the sides, but has a slit, which provides for a little more freedom of movement.